World Milk Day is a day established by the Food and Agriculture Organization (FAO) of the United Nations to recognise the importance of milk as a global food and focus attention on milk and to publicise activities connected with milk and the dairy industry and provide an opportunity to educate the public concerning activities that are connected with the dairy sector. Milk is a white liquid produced by the mammary glands of mammals. It is the primary source of nutrition for infant mammals (including humans who are breastfed) before they are able to digest other types of food. Early-lactation milk contains colostrum, which carries the mother’s antibodies to its young and can reduce the risk of many diseases. It contains many other nutrient including protein and lactose. Interspecies consumption of milk is not uncommon, particularly among humans, many of whom consume the milk of other mammals. World milk Day has been observed annually on June 1 each year since 2001. The day is intended to World Milk Day was first designated by the FAO in 2001. June 1 was chosen as the date because many countries were already celebrating a milk day during that time of year. The fact that many countries choose to do this on the same day lends additional importance to individual national celebrations and shows that milk is a global food. In 2016, World Milk Day was celebrated in over 40 countries. Activities included marathons and family runs, milking demonstrations and farm visits, school-based activities, concerts, conferences and seminars, competitions and a range of events focusing on promoting the value of milk and illustrating the important role played by the dairy industry in the national economy. On June 1, 2018 and 2019 a special campaign will be carried out by the Global Dairy Platform called “Raise a Glass” under the campaign hashtag: #WorldMilkDay. The Seminal album Sgt. Pepper’s Lonely Hearts Club Band by the Beatles was released on 1 June 1967 in the United States. Sgt. Pepper’s Lonely Hearts Club Band was the eighth studio album by English rock band the Beatles. Released on 26 May 1967 in the United Kingdoms, On release, the album was lauded by the vast majority of critics for its innovations in music production, songwriting and graphic design, for bridging a cultural divide between popular music and legitimate art, and for providing a musical ideal of its generation and the contemporary counterculture. It won four Grammy Awards in 1968, including Album of the Year, the first rock LP to receive this honour and it remains popular to this day. The idea for Sgt Pepper came about During a return flight to London in November 1966, after Paul McCartney had an idea for a song involving an Edwardian era military band which eventually formed the impetus of the Sgt. Pepper concept. Tour Manager Mal Evans invented a name in the style of contemporary San Francisco-based groups such as Big Brother and the Holding Company and Quicksilver Messenger Service. Sessions for what was to become the Beatles’ eighth studio album began on 24 November in Abbey Road Studio Two with two compositions inspired from their youth, “Strawberry Fields Forever” and “Penny Lane”, but after pressure from EMI, the songs were released as a double A-side single and were not included on the album. In February 1967, McCartney suggested that the Beatles should record an entire album that would represent a performance by the fictional band. This alter ego group would give them the freedom to experiment musically. In 1966, the American musician and bandleader Brian Wilson’s growing interest in the aesthetics of recording and his admiration for both record producer Phil Spector’s Wall of Sound and the Beatles’ album Rubber Soul resulted in the Beach Boys’ Pet Sounds LP, which demonstrated his production expertise and his mastery of composition and arrangement. The author Thomas MacFarlane credits the release with influencing many musicians of the time, with McCartney in particular singing its praises and drawing inspiration to “expand the focus of the Beatles’ work with sounds and textures not usually associated with popular music”. McCartney thought that his constant playing of the album made it difficult for Lennon to “escape the influence”, adding: “It’s very cleverly done … so we were inspired by it and nicked a few ideas.” Martin stated: “Without Pet Sounds, Sgt. Pepper never would have happened … Pepper was an attempt to equal Pet Sounds.” Freak Out! by the Mothers of Invention also influenced Sgt. Pepper and The music journalist Chet Flippo states that McCartney was inspired to record a concept album after hearing Freak Out!, considered the first rock concept album. In February 1967, after recording the “Sgt. Pepper’s Lonely Hearts Club Band” song, McCartney suggested that the Beatles should release an entire album that would represent a performance by the fictional Sgt. Pepper band. This alter ego group would give them the freedom to experiment musically. During the recording sessions, the band furthered the technological progression they had made with their 1966 album Revolver. Knowing they would not have to perform the tracks live, they adopted an experimental approach to composition and recording on songs such as “With a Little Help from My Friends”, “Lucy in the Sky with Diamonds” and “A Day in the Life”. Producer George Martin and engineer Geoff Emerick’s innovative recording of the album included the liberal application of sound shaping signal processing and the use of a 40-piece orchestra performing aleatoric crescendos. 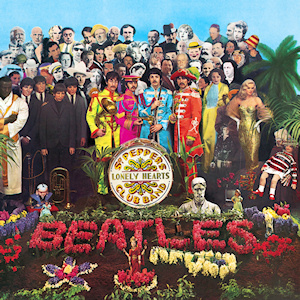 The cover, depicting the Beatles posing in front of a tableau of celebrities and historical figures, was designed by the British pop artists Peter Blake and Jann Haworth. Sgt. Pepper is regarded by many as an early concept album that advanced the use of extended form in popular music while continuing the artistic maturation seen on the Beatles’ preceding releases. It has been described as one of the first art rock LPs, aiding the development of progressive rock, and credited with marking the beginning of the Album Era. An important work of British psychedelia, the album incorporates a range of stylistic influences, including vaudeville, circus, music hall, avant-garde, and Western and Indian classical music. In 2003, the Library of Congress placed Sgt. Pepper in the National Recording Registry, honouring the work as “culturally, historically, or aesthetically significant”. Rolling Stone magazine ranked it number one in its list of the “500 Greatest Albums of All Time”. As of 2011, it has sold more than 32 million copies worldwide, making it one of the best-selling albums in history. Professor Kevin J. Dettmar, writing in the Oxford Encyclopedia of British Literature, described it as “the most important and influential rock and roll album ever recorded”. Despite this success, official interest in the Jet Engine was limited, so Without Air Ministry support, he and two retired RAF servicemen formed Power Jets Ltd to build his engine with assistance from the firm of British Thomson-Houston. Despite limited funding, a prototype was created, which first ran in 1937 culminating in the historic flight of May 16th 1941 and leading the way for others. Official interest was forthcoming following this success, with contracts being placed to develop further engines, but the continuing stress seriously affected Whittle’s health, eventually resulting in a nervous breakdown in 1940 so he resigned from the board in 1946 In recognition for his acheivements Sir Frank was later knighted by King George VI and In 1948 Whittle retired from the RAF and received a knighthood. He joined BOAC as a technical advisor before working as an engineering specialist in one of Shell Oil’s subsidiaries followed by a position with Bristol Aero Engines. After emigrating to the U.S. in 1976 he accepted the position of NAVAIR Research Professor at the United States Naval Academy from 1977–1979. 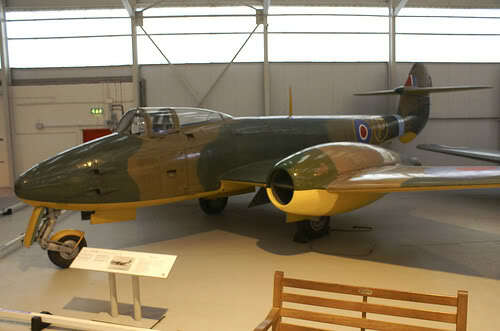 In August 1996, Whittle sadly died of lung cancer at his home in Columbia, Maryland on 9th August 1996, but his legacy lives on, and three examples of Whittle’s Jet Powered Gloster Meteor can be found at the RAF Aerospace Museum in Cosford. So far Depeche Mode have had more than 48 songs in the UK Singles Chart including “Enjoy the Silence” “Policy of Truth” “Personal Jesus“ “World in My Eyes””Never Let Me Down Again” and “Walking in My Shoes” twelve top 10 albums in the UK charts, two of which debuted at #1. According to EMI, Depeche Mode have sold over 100 million albums and singles worldwide, making them the most successful electronic band in music history. Q magazine calls Depeche Mode “The most popular electronic band the world has ever known” and included the band in the list of the “50 Bands That Changed The World!”. In 2010 Depeche Mode were ranked No. 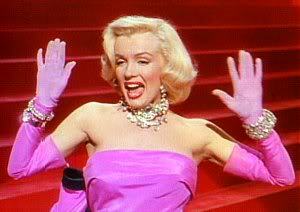 98 on VH1′s list of the “100 greatest artists of all time”. Martin Gore has also released a solo album called MG. Depeche Modes fourteenth album, Spirit Featuring the song “Where’s the Revolution, was released in 2017 followed by the Global Spirit Tour. the group also got a nomination for the 2017 Rock and Roll Hall of Fame.